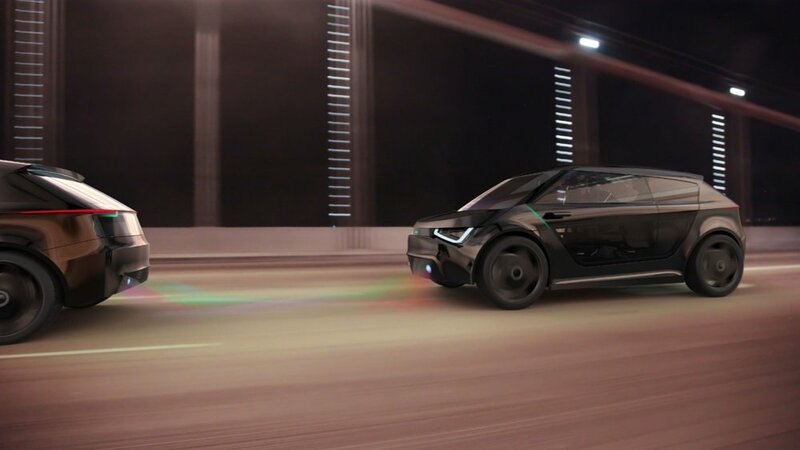 Opt-in asynchronous and real-time syncing of driver and passenger data empower vehicles to be more responsive. Vehicles will be informed about the events of an occupant’s day and help them plan accordingly. As vehicles take on more of the driving load, form factors may change allowing occupants to better take in views while en route. Transitioning between driving modes presents exciting opportunities to establish new interface paradigms. Car linking or “platooning” could play an important role in maximizing the use of our existing infrastructure. External visual indications that vehicles are linked in a road train or “platoons” will need to be developed and standardized. 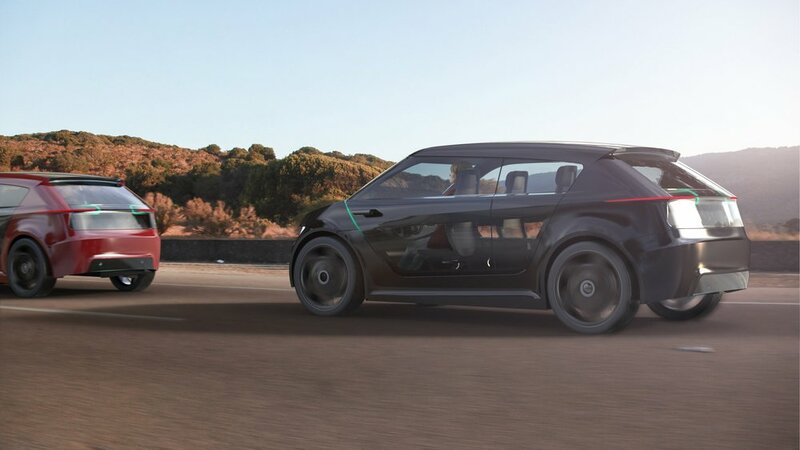 New ways for vehicles to transform according to their current mode of use will be designed. 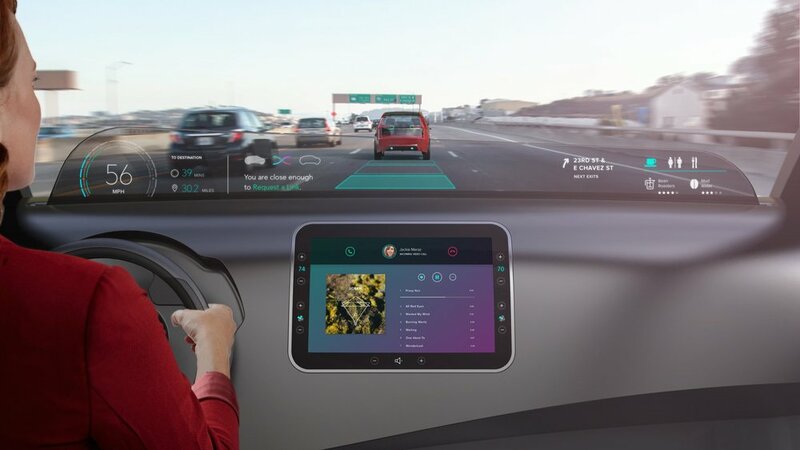 Autonomous vehicle occupants will be free to work to enjoy entertainment while traveling. Projections of the road surface further indicate that two vehicles are linked and traveling together. 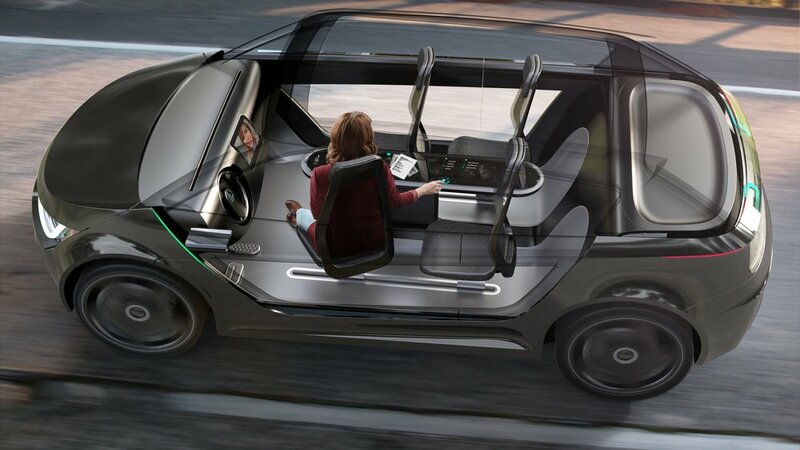 New forms of occupant interaction, seating configurations and ambient affordances will enhance journeys in the future. 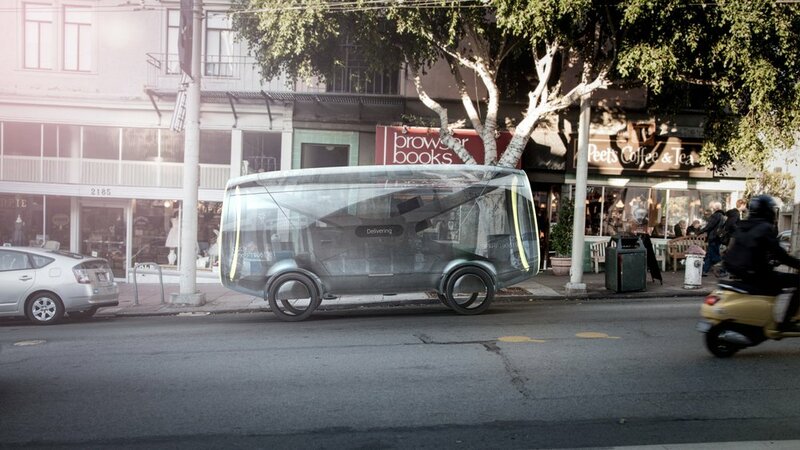 Fully automated package delivery vehicles may become a common sight on streets in the future. Users of automated delivery enjoy up to the minute service curbside while human drivers provide higher touch services. Biometrics such as facial recognition will ensure that deliveries are made safely. 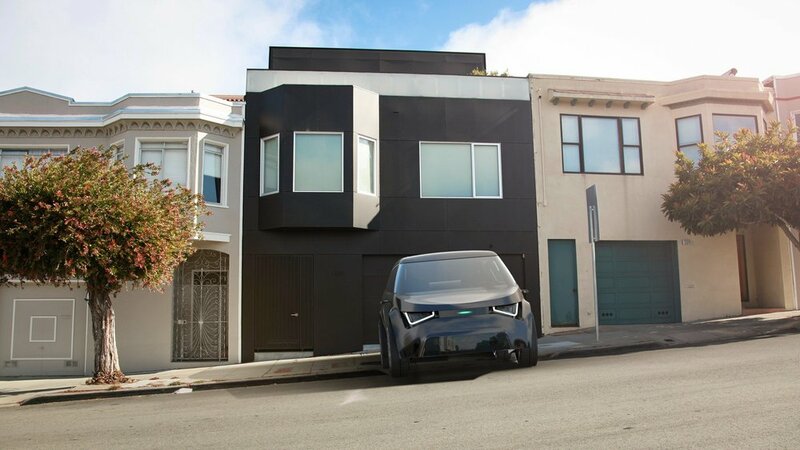 Autonomous vehicles may frequent particular neighborhoods so they can develop richer context awareness. Packages can be sorted on the go thus accommodating any late breaking delivery requests. Mobile touch points to automated delivery platforms provide new levels of on-demand convenience. Packages are marked with instructions so that robotic systems know just how to handle them. Automated package delivery platforms also serve as drop off points, thus bringing the the post office to a corner near you. Autonomous vehicles leveraging smart algorithms and real-time traffic feeds will know when to vacate dense traffic areas, thereby further alleviating traditional rush hour peak traffic. Various sizes of automated package delivery vehicles may emerge to accommodate routes with different demands. Inductive charging at warehouses can take place as vehicles are being loaded at the beginning or route runs. 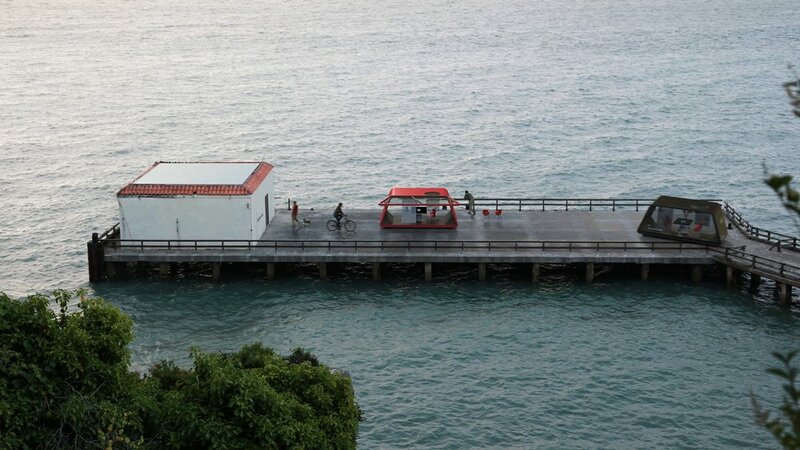 Work On Wheels services make use of under-utilized city infrastructure. 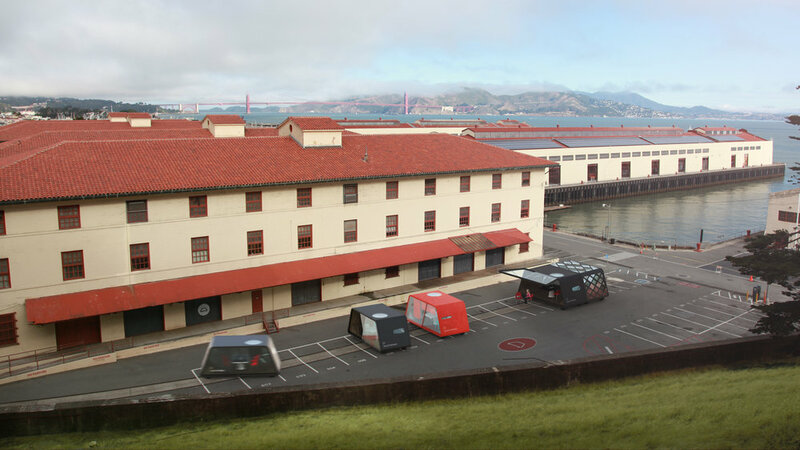 Ad hoc networks of support services including food trucks compliment Work On Wheels sites that have basic facilities. 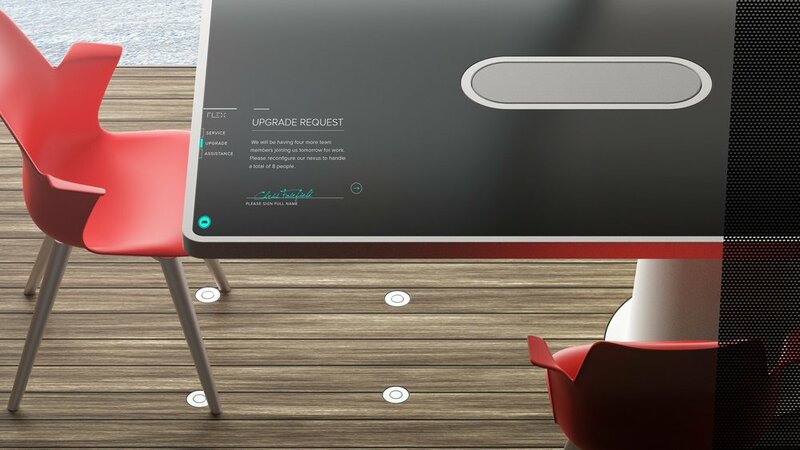 Future mobile workspaces supply teams with connected, climate controlled environments to help maximize productivity. Collaboration in Work On Wheels systems either physically or virtually is optimal. Privacy can be controlled as desired. The work of teams is stored in the cloud, allowing teams to conveniently pick up where they left off the previous day. 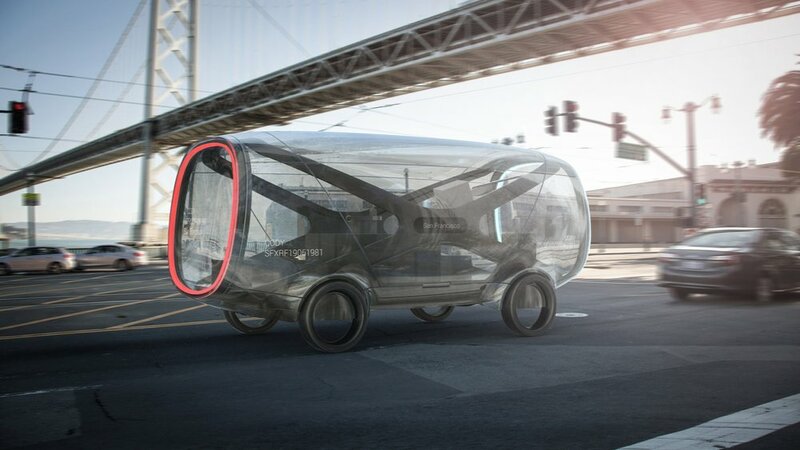 Work On Wheels pods can return to a staging base for recharging if on site power is not provided to be reconfigured. 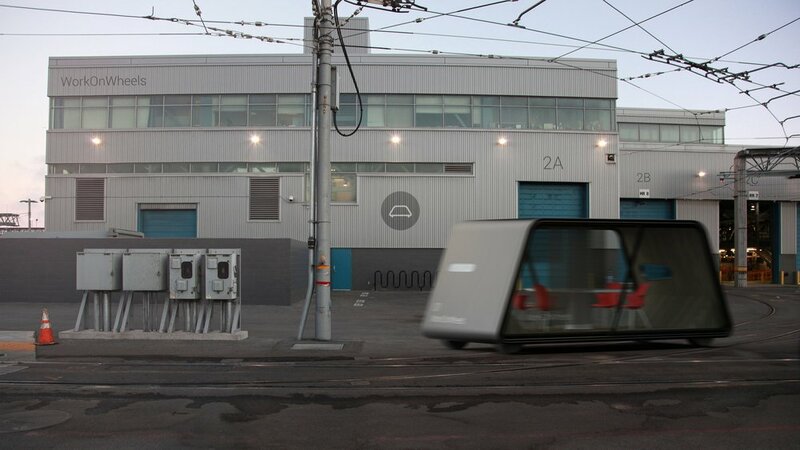 Work On Wheels pods can move after the evening peak commute, freeing up locations to be used for another purpose. 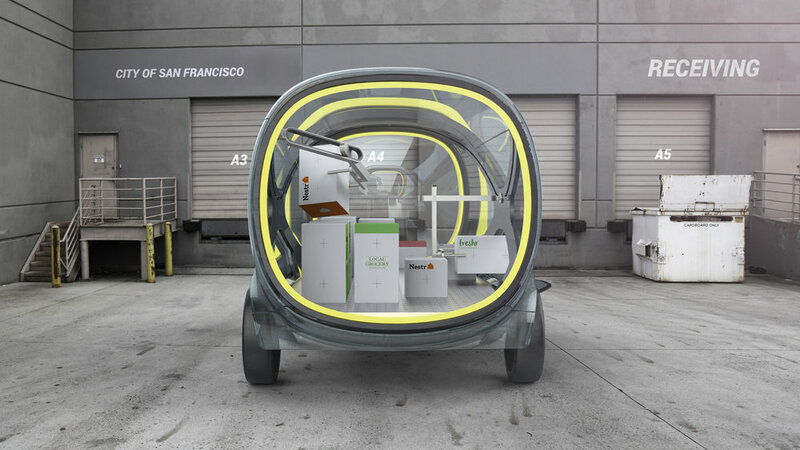 Autonomous Work On Wheels pods can return to their warehouse hubs for recharging and reconfiguration. Charging, reconfiguration and cleaning can all be done during off peak hours.